OLYMPIA, a documentary about actress Olympia Dukakis, will be having its premiere at DocNYC 2018. Stay tuned for more information. 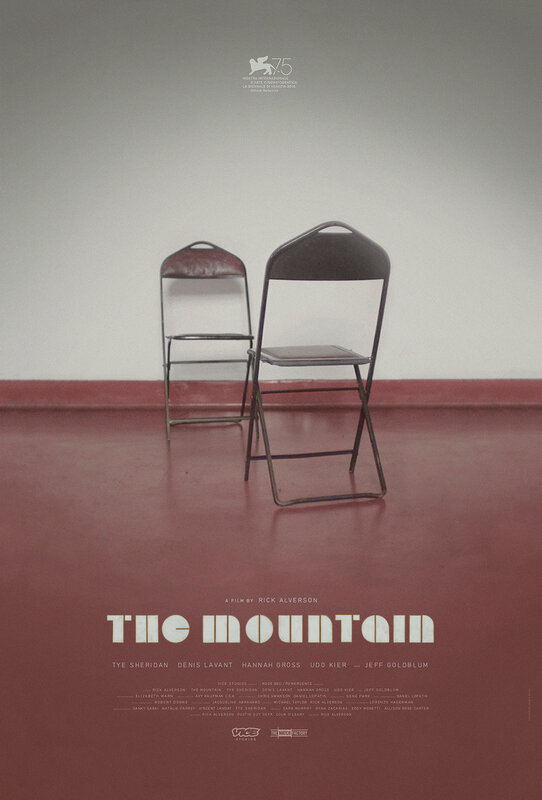 Proud to have helped create Rick Alverson's THE MOUNTAIN, which will be in competition for the Golden Lion at this year's Venice Film Festival. The competition lineup is incredibly strong, including Alfonso Cuaron’s ROMA, Brady Corbet’s VOX LUX, Yorgos Lanthimos’ THE FAVORITE, Damien Chazelle’s FIRST MAN. Here is the screening information. Cory Finley's THOROUGHBREDS opens nationwide tomorrow March 9! Reviews have been pretty amazing, don't miss out on this gem of a film! Definitely one of the most rewarding projects Toneburst has been a part of. To boot, if you order tickets via Fandango, get THOROUGHBREDS t-shirt's for free. Special thanks to Betches for the promo and their support! A VIGILANTE (dir. Sarah Daggar-Nickson) starring Olivia Wilde will be having it's premiere at SXSW 2018! Congrats to all involved. Screening information available here. Don't miss Sadie trying to make things right! Stage 13's High & Mighty will be at Sundance 2018 as part of the Indie Episodic program. Directed by Carlos Lopez Estrada (Blindspotting). Check it out for some great laughs! Very proud and excited to have two features at this years Sundance - Person To Person (dir. Dustin Guy Defa) and Thoroughbred (dir. Cory Finley). Some of Toneburst's best work yet. See you in Park City. THE INTERVENTION, directed by Clea Duvall, will be out in theaters and on VOD this Friday August 26. The film opens at City Cinema East Village in NYC, as well as these locations: LA, SF, Chicago, Boston, DC, Seattle, Atlanta, Denver, Phoenix and Cleveland. Today ELVIS & NIXON, directed by Liza Johnson and starring Kevin Spacey and Michael Shannon, opens in theaters across the country. Gene Park was the film's Supervising Sound Editor and Sound Re-recording Mixer. Check it out! More information can be found here. Tribeca 2016 is shaping up to be a great lineup, and Toneburst had its hand in sound designing three narrative features, including Tribeca's centerpiece film, Liza Johnson's ELVIS & NIXON. Robert Schwartman's DREAMLAND and Sophia Takal's ALWAYS SHINE are both in the dramatic competition category. Toneburst Audio is proud to have been a part of at least one Sundance-accepted feature each of the last seven years, and 2016 will make it eight years in a row. Clea DuVall's THE INTERVENTION starring Cobie Smulders, Melanie Lynskey, Natasha Lyonne, Alia Shawkat, and DuVall, will be premiering as a part of the Dramatic Competition lineup. Congrats to all those involved with this feature, as well as all the features at this year's festival. Rick Alverson's ENTERTAINMENT hits theaters, on demand, and iTunes this Friday, November 13. The film opens in NYC at Sunshine Theater and Lincoln Center and in Toronto at Carlton Cinema. It will be available in more theaters in the coming weeks, check here for information. Two films mixed by Gene Park - The Babushkas of Chernobyl and Bounce - will be playing at DOC NYC 2015. All screenings below at IFC Center in Manhattan, NY. Magnolia Pictures will release Rick Alverson's ENTERTAINMENT in theaters, on VOD and on iTunes November 13th. Meanwhile, enjoy this trailer. For all the found-footage horror fans out there, CREEP, directed by and starring Patrick Brice, starring Mark Duplass, and produced by Jason Blum [Paranormal Activity], is finally available on iTunes and Netflix. The OVERNIGHT, starring Adam Scott, Taylor Schilling, Jason Schwartzman, and Judith Godere, hits theaters in NYC and LA this week, expands to 40-some locations next week and over 300 Independence Day weekend. Look here to find a theater near you. The Overnight will be having it's NYC Premiere Tuesday March 21 as a part of Tribeca Film Festival 2015. Additional screen dates are March 22 and 23. The theatrical release will be June 19, and the trailer was released today. Rick Alverson's ENTERTAINMENT is the closing night selection for ND/NF 2015. Date is March 29, with a 4pm screening at MOMA and a 7pm screening at Lincoln Center. Information and tickets are available on the ND Site. Additionally, Slamdance fave, Britni West's Tired Moonlight, which Toneburst helped sound design, will also be screening March 19 and 21. These are both New York premieres. There are many excellent films as a part of this event as well. We're happy to announce that two Toneburst-sound designed narrative features, Patrick Brice's THE OVERNIGHT and Rick Alverson's ENTERTAINMENT, will be premiering at Sundance 2015. More details to come. Congrats to the cast and crew for all the hard work.